Isabel Long is a bit banged up from her last case with a broken collarbone and her arm in a sling. But that doesn’t stop her from pouring beer at the Rooster Bar or taking her third case with Gary Beaumont, a local drug dealer who once terrorized her. Gary is convinced his brother didn’t jump off a bridge known for suicides. Somebody pushed him. Gary’s brother was a boozer who drove for a highway crew. But what interests Isabel and her ‘Watson’ — her 93-year-old mother who lives with her — is that the man wrote poetry. The chief suspects are one of Gary’s business associates and a famous poet who plagiarized his brother’s poetry for an award-winning book. Yes, he was that good. As a journalist, Isabel did regular meetups with her sources for stories. She called it checking the traps. She does the same as a private investigator, and this time, she’ll make sure she doesn’t get caught in one. Joan Livingston is the author of novels for adult and young readers. 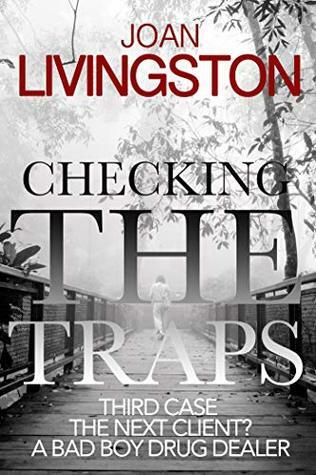 Checking the Traps, published by Crooked Cat Books, is the third in the mystery series featuring Isabel Long, a longtime journalist who becomes an amateur P.I. The first two are Chasing the Case and Redneck’s Revenge. An award-winning journalist, she started as a reporter covering the hilltowns of Western Massachusetts. She was an editor, columnist, and the managing editor of The Taos News, which won numerous state and national awards during her tenure. After eleven years in Northern New Mexico, she returned to rural Western Massachusetts, which is the setting of much of her adult fiction, including the Isabel Long mystery series. Isabel is trying to recover from her last case. But the broken collar bone and sling don’t slow her down at the Rooster Bar. Then she is approached by Gary Beaumont, a local drug dealer that she has had dealings with in the past. Gary doesn’t believe that his half-brother, Cary Moore would have committed suicide by jumping off a bridge. Initially it looks like it was a suicide until Isabel and Maria is that Cary wrote poetry, really good poetry. So good that one of his business associates stole Cary’s work and used it to publish an award winning book. But this is not going to be a case easily solved. Isabel and Maria have their work cut out for them. 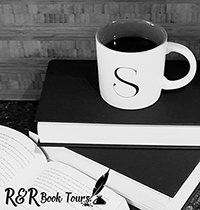 I really enjoyed Redneck’s Revenge and when I saw this book on tour I jumped at the chance to catch up with Isabel. This is a great story that quickly drew me in. I really like Isabel, she is a no nonsense person that is determined to find out what really happened to Cary, even if Gary is not that trustworthy as a person. And Maria, what can I say. What a sassy lady!! I really enjoyed this read and recommend it to anyone that likes mysteries. There were some good twists and turns and I was not expecting the end. This book does build on the last book so I do recommend reading the series in order. I would like to thank Rachel’s Random Resources for the opportunity to read and share this book.